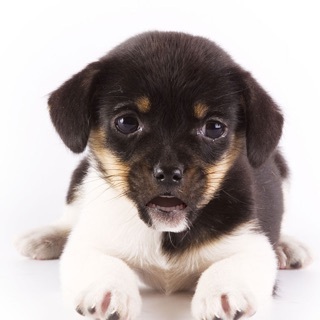 My Talking Pet offers auto-renewing monthly and yearly subscriptions to 'My Talking Pet Pro'. My Talking Pet Pro has no limit on saving and sharing videos, has no watermark on videos, unlocks special modes for hats, glasses and filters, and unlocks more animals to use in addition to your own photos. My Talking Pet offers free trials, which auto-enrol into the selected subscription if not cancelled during the free trial period. Any unused portion of free trial periods, if offered, will be forfeited if you start a new subscription before the completion of your trial. Payment will be charged to your iTunes Account at confirmation of purchase. Your account will be charged for renewal within 24-hours prior to the end of the current period. Subscription automatically renews unless auto-renew is turned off at least 24-hours before the end of the current period. You can turn off auto-renew at any time from your iTunes account settings but refunds will not be provided for any unused portion of the term. At first i liked the app, but then i found out that you only get to share the videos 5 times! i deleted the app for space on my phone, but then i decided to redownload the app. When i went into the app i made another video, but then i discovered something awsome! I was able to make another video and I was able to save it!! !😄 turns out that if you use your five times on saving the videos all you have to do is just delete the app and then re-download it and you get another five turns!!! that’s all you have to do instead of just wasting $10 on the full version!😅😅 I would’ve rated this app maybe two stars but now that I see I can use this glitch, now I would rate five stars!!!! At first I loved the app! It was amazing and so much fun! But then I found out that you couldn’t share it more than five times of the entire time you had the app and you have to upgrade to premium and pay a lot of money just to be able to 1. Be able to share and save it 2. To use cool filters and 3. Be able to actually have fun with it. I really wanted to be able to do this but I am not allowed to use money on a app so there is kind of no point of having this app an I might just delete it if I can’t do anything with it. I do love it is kind of fun though but I really want to be able to save it and use filters. Please read and respond to this and at least make it so that it will save and send! So much fun! I’ve never laughed so hard!! I’m loving the free version!! Might just have to get the paid version so I can have even more fun!! Question for the developers: I’ve made two videos so far. First one of my dog. Second one of my cat. When I went back to listen to the dog, it had the cat’s voice and words. Did I do something wrong or is this supposed to happen with the free version? I’m afraid to do more or fix the dog one until I know for sure, because the cat one is PERFECT! !